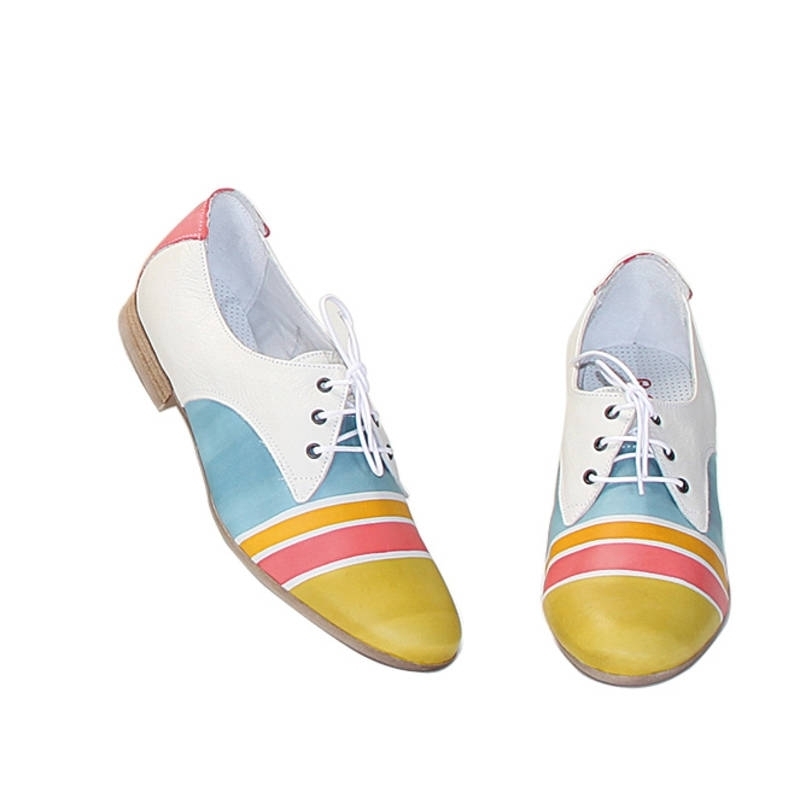 Handpainted natural leather shoes. Lace-up flats with upper natural leather, leather inside and rubber outsole. Very casual, comfortable and versatile. Match them to your Acqurello handbag! Colors pink green light blue and yellow on white background and pattern geometrical.